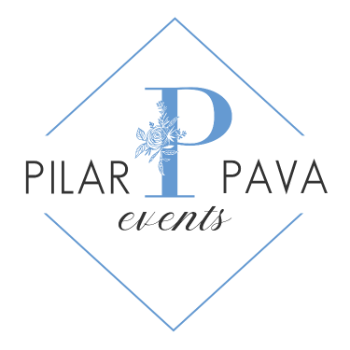 As the founder of Pilar Pava Events, I know firsthand what it’s like to have a dream – a clear vision – for a memorable and successful event. After serving as an in-house events director with several prestigious organizations, I built my company based on my longtime dream of launching my own business – to plan, implement and produce events that meet the dreams and objectives of every client, large or small. What makes me unique? Consider me an event planner who has truly run every aspect of an event, both large-scale and small, with recognized headline entertainment, or with none, all based on the client’s interests. I perfected my craft in the entertainment mecca of Las Vegas -- working at the first Performing Arts Center in Las Vegas and with individuals who used to produce shows and events for Cirque du Soleil and the nation’s finest casinos. Based on that solid foundation, I have the skills, background and access to all necessary resources to expertly create an event that impeccably aligns with your vision and allows you to relax and enjoy it. Whatever the event, it’s meant to be a celebration, after all! With a degree in graphic design from Jorge Tadeo Lozano University in Bogota, Colombia, I have a keen eye for the “look” of every event, from the invitation to the table presentation to the overall décor in every venue, large and small. And my global travel experience is vast – I have had the benefit of traveling to many of the world’s most appealing destinations, allowing me to gain invaluable insights into the cultural nuances of countless communities worldwide. In each and every role, I consistently applied excellent analytical and organizational skills, an extreme sense of urgency, attention to detail, contract negotiation expertise, staff and budget oversight and commitment to achieving every event’s objectives. We will work with our clients to understand their needs and financial budget for the event. We will suggest dates, timelines and plan the scope of the event. We will recommend locations, receive bids from vendors, coordinate travel arrangements, overnight accommodations and other services. We provide local destination knowledge and act as an extension of your company. we will arrange transfers / transportation, hotel accommodation, restaurants, activities, excursions, conference venues, themed events and gala dinners. We can also assist with overcoming any language barriers. We will put together everything from a first birthday party to a Gala. Such events are actually more similar than one might suspect. No matter the event, our service and unparalleled attention to detail will ensure each as memorable. We bring the vision of brides and grooms to life by planning, organizing and overseeing all aspects of their wedding, including rehearsal, ceremony, and reception. We ensure that the preparation, as well as the execution, of the couple’s big day goes smoothly and that the newlyweds are satisfied with the results.